The haunting of Borley Rectory, as stated at the beginning of this article, always took centre stage during its 76 year history. Now that the gloomy old pile is just a memory, the focus of paranormal activity at this remote Essex hamlet has shifted to the church. There are those who have suggested that when the last brick of the rectory was carted away and the foundations filled in, the haunting transferred itself lock, stock and barrel across the road to the building which has stood there for 800 years. Yet we at HarryPrice.co.uk believe that Borley church has probably always been a site of unexplained happenings. 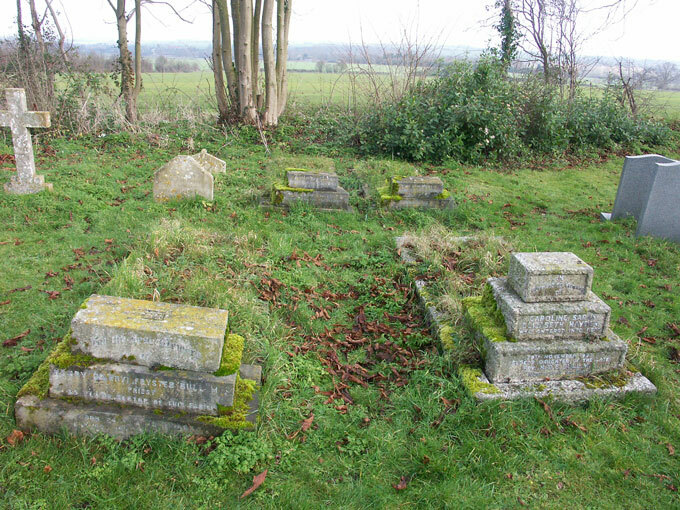 The writer and philosopher Colin Wilson has suggested that the very ground of Borley may well be the catalyst for the occurrence of paranormal activity. Any building, rectory, barn, church, or as we shall see later, modern dwellings built upon the site, would be subject to strange phenomena. The list of reported incidents occurring at the church as compared to the rectory is small and this is understandable. But for the Sunday service, choir practice, occasional wedding, funeral or parish meeting, the church would remain empty and locked. It is even more so today. So reported phenomena is infrequent. Nonetheless, strange incidents have been reported for many years and do so to this day. One may wonder why Harry Price did not investigate the church fully. It may well be that he simply had his hands full with the rectory. He was certainly aware of phenomena happening within the church for Ethel Bull informed him of the coffins in the crypt being mysteriously moved from their prescribed positions. This occurred on more than one occasion. In 1942, Rev. A.C. Henning, then Rector of Borley and Liston informed Price that objects had been displaced in the church. A sanctuary lamp which was always kept burning near the tabernacle on the altar frequently had its wick removed. A Mrs Pearson who was responsible for lighting the small wick in the morning and putting it out at night informed Rev. Henning of the strange incident and he suggested putting a book over the lamp glass. Yet the next morning the book was found on the floor. This happened on three separate occasions. Yet paranormal phenomena was experienced at the church before Price and Henning were on the scene. The Rev. Harry Bull, Rector of Borley from 1892 till his death in 1927, was among the first to mention strange happenings in the church. In particular he describes the tappings he and a friend heard one day whilst they were in the building. The sounds seemed to emanate from outside. As they listened, the tappings grew louder and seemed to enter the church, moving around the walls. Both men carefully checked the building inside and out but could find no explanation for the sounds. Unseen footsteps have also been reported at the church. One Sunday in 1946, children arriving early for their catechism class sat down to await their teacher, Miss Byford. Presently footsteps were heard coming along the church path followed by the sound of a key being turned in the lock of the church door. One of the children, 13 year old Kathleen Finch went to the door and called out to the teacher, but there was no reply. A few minutes later Miss Byford did arrive and found to her surprise that the door had been locked. No explanation was found for the incident. Mysterious footsteps were again heard on 21st April 1946 by John Durant of Sudbury who visited Borley with his fiancé. Both were inside the church near the south door when they heard footsteps in the porch and the door latch being lifted. The door did not open though and thinking that someone was trying to enter Mr Durant opened it from the inside. To his amazement there was no one outside the door nor indeed anywhere near the church. He also checked to see if there was anyone on the north side of the building or down the lane but there was no one in sight. Mr Durrant paid another visit to Borley one Sunday without his fiancé. While he walked away from the porch down the church path he heard a loud and distinct bang from the direction of the priest's door leading into the sanctuary. He was certain there was no one inside at the time. Harry Price also experienced the footsteps phenomena. 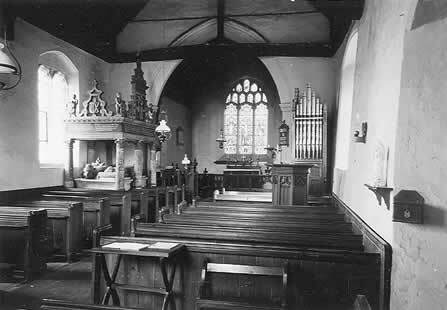 In June 1947 he visited Borley to see the recently restored pre-Refomation altar before giving a lecture at Sudbury on the haunting. He was accompanied by Mr and Mrs Henning and all three were examining the tomb in the sanctuary when they were surprised to hear the loud and unbroken screeching of birds from the west end of the church. As the screeching died down, footsteps were heard approaching and entering the building. Mr Henning went to the door but no one was visible. All three had plainly heard the footsteps, yet a search of the churchyard and lane revealed no person to account for the sounds. the churchyard gate. Nervously he listened as footsteps came up the path and entered the porch. Mr May says he could see no one but could sense someone pass him. There was a chilliness in the air and he had the feeling that whatever was with him in the porch was essentially evil. He then heard the sound of a key in the lock, then the creak of the hinges as the door opened. The door then closed and a few seconds later the sound of an organ came to his ears. He remained at the church until 2.30pm but heard nothing more. The sound of the organ was also heard by the Rev. Henning in October 1947. He had gone to the church with a friend, Mrs Norah Walrond. As they walked along the church path they could hear the organ playing. Mrs Walrond naturally assumed that was a service taking place but the Rev. Henning knew this not to be the case. Both entered the building to find the church empty. Mrs Walrond says the whole event was over in half a minute and would have been impossible for any one playing a joke to have escaped. She is adamant that what she heard was an organ playing quietly, not loudly, but definitely an organ. 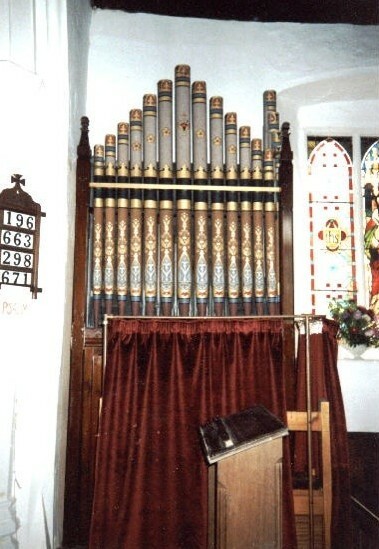 Some sceptics have pointed out that the organ music could well be the midnight scampering of mice or unexpelled air from the bellows creating the sounds. However, the Rev. Henning made some experiments with this explanation in mind and found that the air escaped immediately if not pumped, and when he tried the keys no sound came. James Turner, the poet and writer who purchased the cottage and the greater part of the old rectory grounds including the whole of the rectory site itself in 1947 and who has himself witnessed unseen footsteps in the churchyard, has pointed out that the organ sound which has been heard is not necessarily coming from the actual instrument in the church. Any more than mysterious singing and chanting, which has also been heard from within emanates from a midnight phantom choir in the chancel. The sounds are indeed "supernatural", a part of paranormal law and physics, if there is such a thing, we have yet to understand. 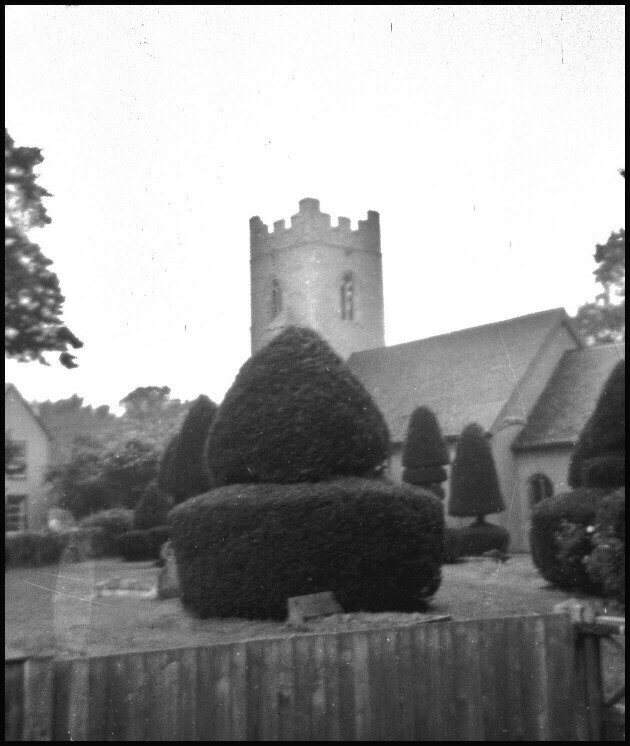 Apart from phantom footsteps and organ music, strange odours have also been reported at Borley church. Susanna Dudley from Newmarket was visiting the church with three friends one cold windy February day in 1949. About half way up the path they all suddenly smelt an overpowering odour. Some thought it was incense, others a most disgusting aroma. Susanna describes it as what she would imagine an embalmed body would smell like. She had no foundation for this as she had never smelt an embalmed body. But the smell struck her as a sickly sweet clinging smell, heavy and nasty. Mr J. Clinton Tweed of Cambridge also experienced strange odours while visiting the church. He explains it was a bright windy day and as the church was locked he and his wife contented themselves with a look round the churchyard. Whilst at the back of the yard, the north side, Mr Tweed smelt incense to such a strength and intensity that he looked around to see if there was a bonfire or something else giving off a similar smell. There was no bonfire and nothing which would account for the smell. His wife also smelt incense but only by the churchyard gate. What is curious about these two experiences is that on each occasion when Susanna Dudley and Mr Tweed smelt the aroma of incense a strong wind was blowing through the churchyard. Yet the area of the smell remained constant. Perhaps confined to an space of no more than 9 yards long. Of all the phenomena reported at Borley over the years it is the Nun which has taken centre stage. Yet for all her celebrity she was never seen within the rectory itself. Her two most famous sightings were in July 1900 when four of Henry Bull's daughters saw her apparition on the rectory lawn, and that of Fred Cartwright, a journeyman carpenter who, three times, saw the figure of a sad faced novice by one of the rectory drive gates in the Autumn of 1927. Her ghost, however, or that of some unknown woman has been seen in Borley churchyard. and 23 years old and frail looking. She wore what seemed to be a nun's hood with a thick veil. The Rev. Kipping stressed how life-like and distinct the apparition was. His experience caused him to reconsider his previously sceptical views on the haunting. The Nun was seen again in July 1950 when Mr Cole of Great Cornard, near Sudbury saw the figure of a woman standing by a gap in the hedge on the north side of the churchyard. The day was windy and Mr Cole thought the woman was taking shelter or perhaps waiting for someone. She appeared to be about 5ft 6" tall and looked quite normal. Thinking she was real he approached her to ask if she would like to wait in the church porch but as he neared to his amazement she vanished. In April 1951, the Bacon family moved in the Rectory Cottage. During their twenty year residence they all experienced curious happenings in the church. Mr and Mrs Bacon's young son Terrence claimed to have seen the nun three times in the churchyard. He says that the apparition seemed to float about two feet above ground level. 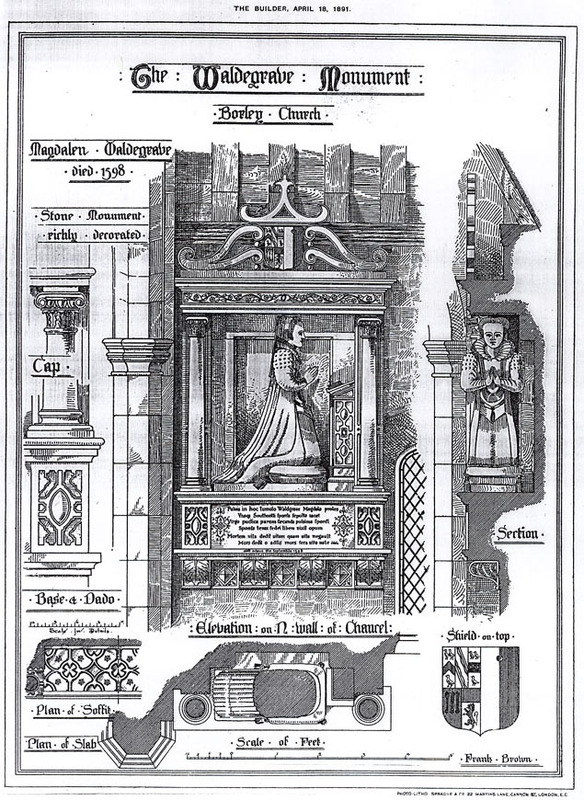 During the course of centuries of burials the level of the churchyard may well have risen as many interments took place on the south side of the church. Terry Bacon may well have seen the nun "floating" at ground level as it was in her lifetime. In 1967 three companions traveled to Borley in a new Mini car. They spent a little while in the lane near the church yet as it grew dark they all saw a luminous white figure drift across the churchyard. After a moment it seemed to change shape into a luminous white patch. They were thoroughly alarmed by this unexpected site and decided to go home, but the car, which until then had behaved perfectly, now refused to start and they had to push it a considerable distance before it spluttered and roared into life. 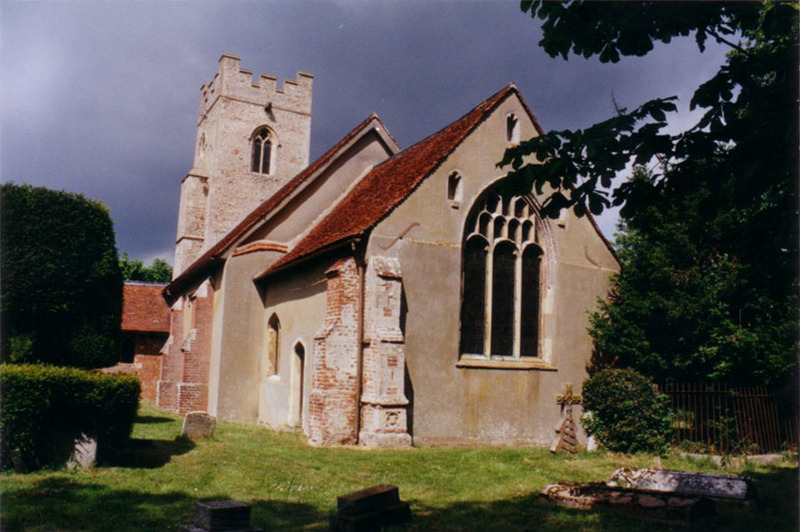 Of all the investigations carried out at Borley church, those undertaken by the Enfield Paranormal Research Group headed by Geoffrey Croom-Hollingsworth and Roy Potter in 1970 must rank as one of the most remarkable. The group were given permission to hold nightly vigils in the church where their tape machines picked up what can only be described as the most incredible series of recordings ever obtained in the history of the haunting at Borley. Bangings, raps, knocks, thuds, voices, footsteps, the sounds of doors opening and the chilling deep mournful sound of a human sigh and groan were all picked up on tape. So much was the interest in the Enfield group and their recordings that the British Broadcasting Corporation sent a camera team to accompany them on one of their vigils the results of which were later made in to a television documentary The Ghost Hunters broadcast in 1975. On this occasion the group set up watch inside the church where once again the tape machines picked up the familiar sounds of raps and knocks. However during the night, as the team sat in the pews, small pinpricks of light began to dance about around the church. They gradually moved towards the three members of the group keeping vigil. The team reported that the church had become intensely cold as the lights approached. As the dancing pinpricks of light neared the men there was a tremendous crash as something was hurled across the church. The Enfield Paranormal Research Group were convinced they had indeed captured the sound of a ghost on tape and anyone who listens to this intriguing recording (The Ghost Tapes) will come away from it scratching their chin and with eyebrows raised. If the sounds recorded in Borley church are genuine they are indeed unprecedented. They are the only audible evidence ever obtained of the paranormal in the 140 years of this remarkable haunting. 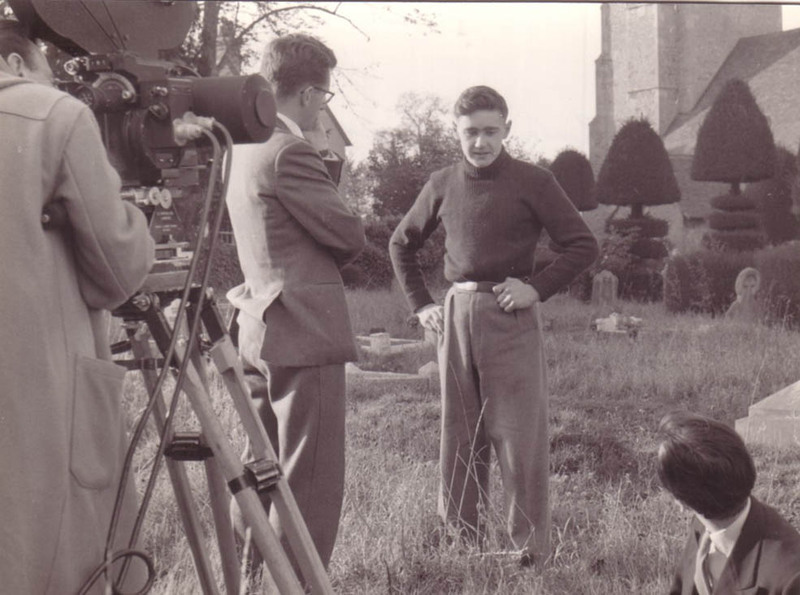 Yet at the time of the recordings, the early '70s, Borley seemed to be highly active with paranormal happenings. The figure of the nun was seen on several occasions and the church had become the focus for all ghost hunters making their way to this strange village. The author of this article, then aged 16, armed with camera and sandwiches made the journey in September 1972. It was here I photographed a seemingly empty graveyard only to have the developed print reveal a figure moving left out of the picture - The Brazil Borley Photograph. But what of Borley today? The question we at HarryPrice.co.uk are often asked is "Is Borley still haunted, and if I go there what will I experience?" You wiil certainly experience the peace and tranquility of a beautiful English country village, church and churchyard and may well witness things you cannot explain. You could also visit Borley every day for six months and not experience a single paranormal incident. But there will be times when the lone visitor will visit this magical place and see and hear things that have no rational explanation. Like the two workmen who carried out maintenance work on Borley church in 2002. The job required the use of electric drills and a heavy duty extension lead which led from the church to the churchyard where the men were working. For no apparent reason when the men went to use their drills they found there was no power. Returning to the extension lead power point in the church to ascertain why, they continually found the plugs disconnected from the supply. Or the residents of one of the properties built upon the site of the rectory garden who, in 2003 experienced poltergeist activity in their kitchen and also on two occasions witnessed shadowy figures entering their home. Or another resident of a property not a million miles from where the rectory once stood who as recent as this year heard the sound of heavy breathing follow her whilst she walked in her garden at dusk. At the end of the day we have to ask ourselves, is Borley and its church still haunted?. Could all of the reports contained in this short introduction be faked, hallucination or just rational happenings perceived by those who want to believe in ghosts as genuine paranormal activity. Quantative evidence works in medicine or physics; it does not seem to be acceptable to many people in psychical research. As for myself, I believe that to suggest that every single paranormal incident reported at Borley can be put down to a rational explanation, or to hallucination is plainly absurd. 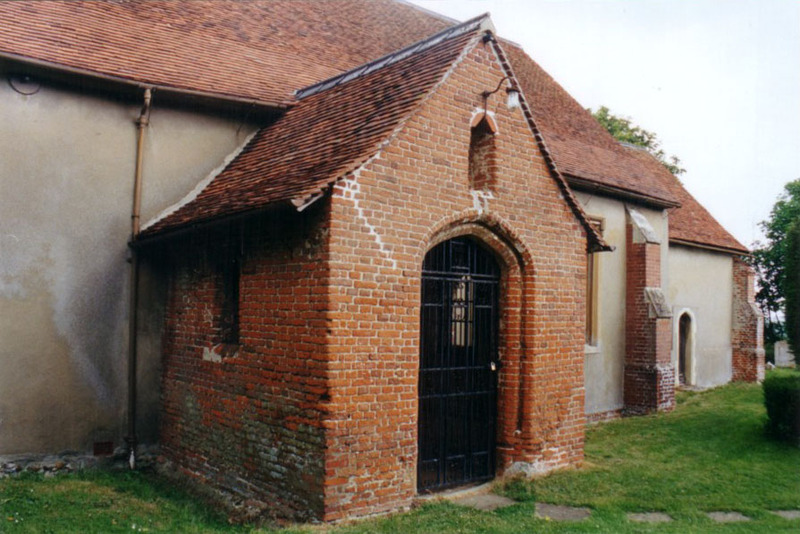 The frequency and continuity of the phenomena along with the integrity of the witnesses points to the fact that Borley church is definitely haunted. However by whom and for what reason we have yet to understand. If you decide to visit this most magical of places please remember that for all its notoriety, Borley church is still a house of God and still a working church for its small community. Bear this in mind as you sit quietly in its peaceful churchyard. And by all means, if you do encounter something which you find strange or has no rational explanation please let us know at HarryPrice.co.uk. We can then add it to the ever expanding dossier of this most famous of hauntings.